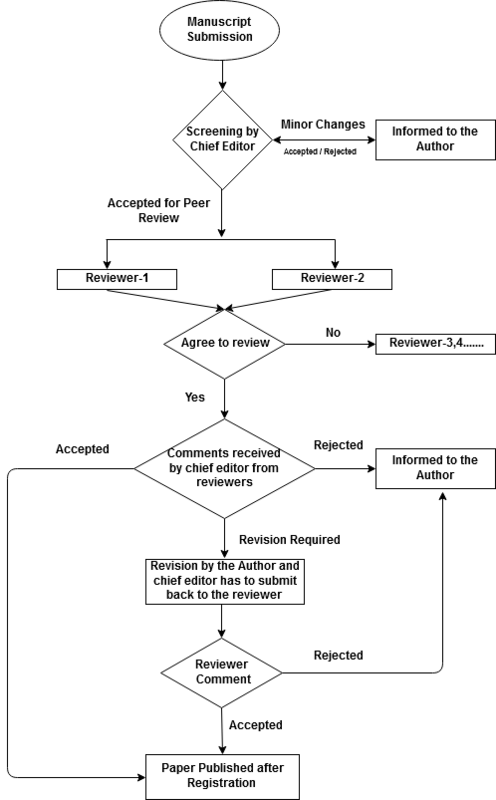 The peer review process for IJEAB Research journal is essentially a quality control mechanism to gives its best publication. This is the process by which field experts evaluate the proposed works, and its application to ensure a high quality of published work. However, the peer reviewers do not make the decision to reject or accept the articles but they recommend a decision. At peer-reviewed journal, decision-making authority rests solely with the journal’s editorial board. IJEAB research journal is a double blind-reviewed journal. Normally, we choose a minimum of 2 reviewers for the peer review. Peer reviewers are experts in their field. We usually build a pool of peer reviewers that have a good record of producing high-quality reviews. Or we scan the bibliography to identify potential reviewers or contact researchers they met at conferences and seminars for review processing. Accept the article without any changes (acceptance): publish the article in its original form as provided by the author. Accept the article with minor revisions (acceptance): asks the author to make small corrections and then publish the article. Accept the article after major revisions (modification): ask the authors to make the changes suggested by the reviewers and/or editors: after revision publish the article. Revise and resubmit the article (conditional- rejection): the journal fails to accept the article in the current round and willing to reconsider the article in another round of decision making after the authors make major changes in the article as suggested. reject the article (rejection): the journal will not publish the article or reconsider it even if the authors make major revisions in the article.